I need to find a border fabric for this now.... ( or at least when I have all the blocks sewn together). 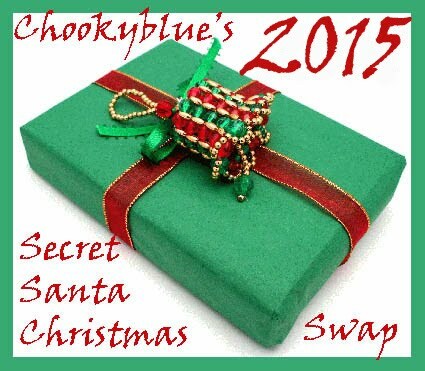 I better get back to my sewingmachine, thank you for stopping by! It's looking great, lovely way to use a jelly roll. 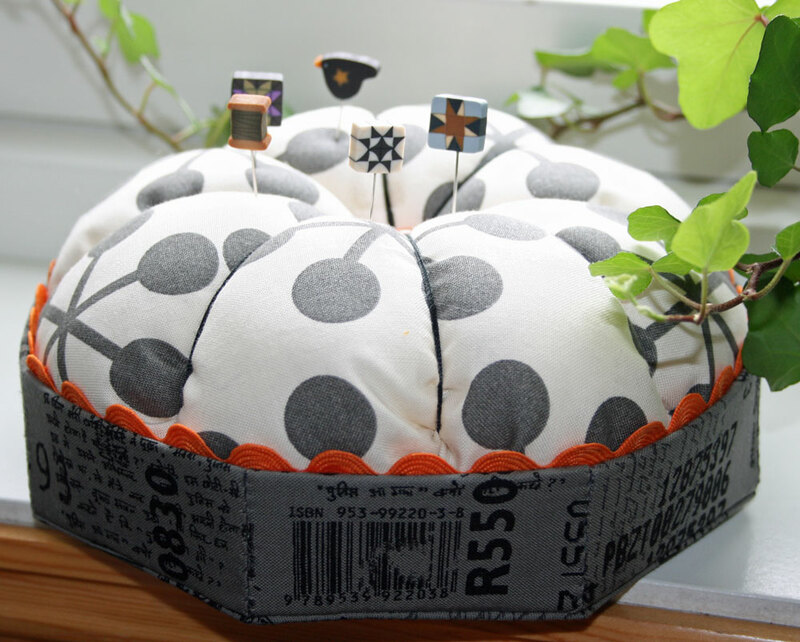 Cool new pincushion, I can see why you like the fabric. Hei, så lys og fin kvilt du held på med! Kva mønster bruker du? Nåleputa var flott, det mønsteret trur eg heller ikkje eg har sett. Lovely quilt! Did you use that 90 degree ruler from creative grid? Last night I went to a presentation from Jenny Doan, who appears to be the queen of pre-cuts. Lot's of short cuts to produce quilts from the pre cuts. She did come to the shoppe in the morning, which was nice to meet her ahead of time. Love, you pincushion too! Cute! thanks for sharing. 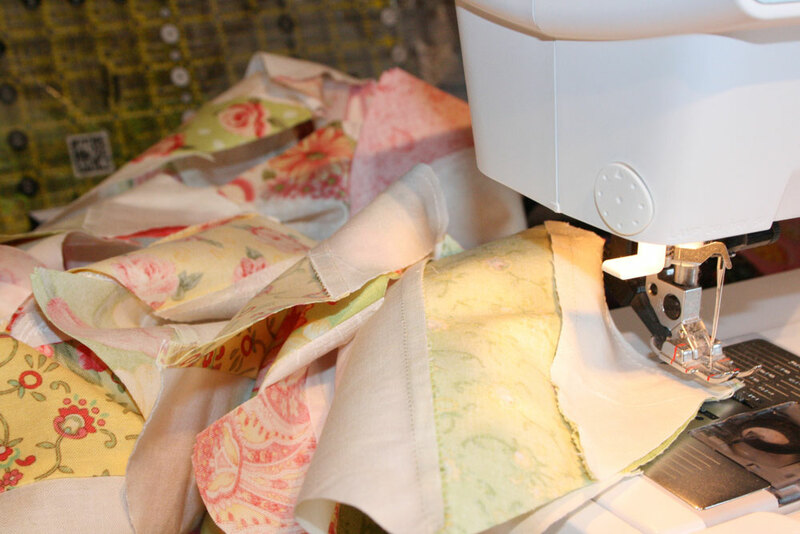 Awesome quilt and pincushion.Happy sewing! You are going to have a lovely quilt. Very cute pincushion too. 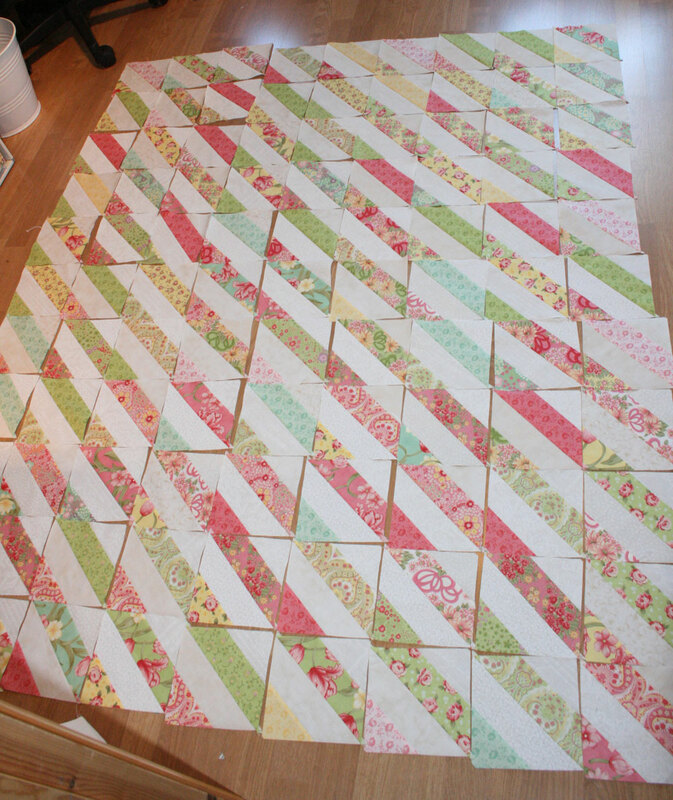 This will be an amazing quilt Anne Heidi - what lovely colours & design. 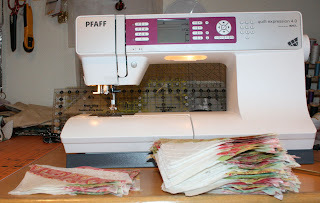 You & I have the same sewing machine, but I am not a clever quilt maker like you! Wow, Comma pincushion is SO cute! I like that line too;o) And your newest quilt is fabulous: the colors of it are fresh and so summery!